(RxWiki News) Over-the-counter pain relievers including aspirin and ibuprofen may have an important role to play in lowering the risks of cancer. Researchers have found an association between long-term (10+ years) use of ibuprofen and lower bladder cancer risks. They caution, however, that these findings do not equate to recommendations to take the pain reliever as a means of trying to prevent this cancer. Non-steroidal anti-inflammatory drugs are used to relieve pain, reduce inflammation and bring down fevers. There are three different types of NSAIDs – aspirin, ibruprofen and naproxen. Ibruprofen is sold under the brand names Advil and Motrin, among others. "Talk to your doctor about all pain relievers." Margaret Karagas, PhD, co-director of Cancer Epidemiology & Chemoprevention program at Norris Cotton Cancer Center, and Professor of Community and Family Medicine at the Geisel School of Medicine at Dartmouth, led the study. She worked with colleagues at the National Cancer Institute to explore non-steroidal anti-inflammatory drug (NSAID) use and bladder cancer risks. 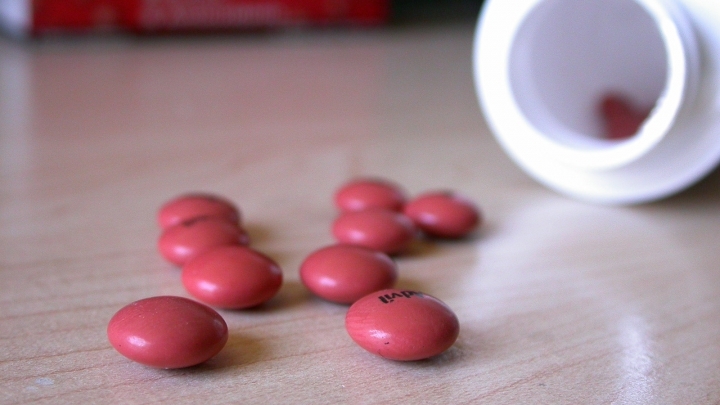 Previous studies have suggested that NSAIDs use may lower bladder cancer risks. For this study, a total of 1,171 newly diagnosed bladder cancer patients in Vermont and Maine participated, along with 1,418 individuals who did not have bladder cancer. To drill down on the possible links, the researchers looked at 39 genes that are involved in how the body metabolizes NSAIDs. They also looked at the class of drugs called COX-2 inhibitors, including the prescription drug Celebrex (celecoxib). The study found that among people with a specific genetic alteration "regular use of non-aspirin nonselective NSAIDs, particularly ibuprofen, may reduce bladder cancer risk, especially among regular users for 10 years or more." Regular use was considered taking the medication three or more times a week. Taking non-aspirin NSAIDs with this frequency was associated with a 20 percent reduced risk of bladder cancer. The longer a patient had taken these medications, the greater the risk reduction. Researchers also discovered a trend between COX-2 inhibitors, particularly Celebrex, and an increased risk for bladder cancer. Noting that additional information was needed, Dr. Karagas warned that the findings are preliminary. She said that that the study "does not make any recommendations. It does not, in any way, suggest that patients begin taking ibuprofen as a prophylactic measure against bladder cancer, nor should patients go off any medicine prescribed by their doctor." This study was published in the International Journal of Cancer. The research was supported by Intramural Research Program of the National Institutes of Health, National Cancer Institute, Division of Cancer Epidemiology and Genetics. No conflicts of interest were reported.